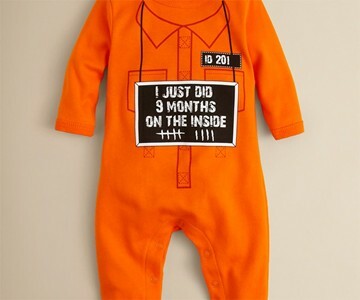 "I just did 9 months on the inside...and now that I'm out, my mom is making me wear an orange onesie that, for some reason, encourages many who see me to double-bump a fist against their chest and flash me two fingers." 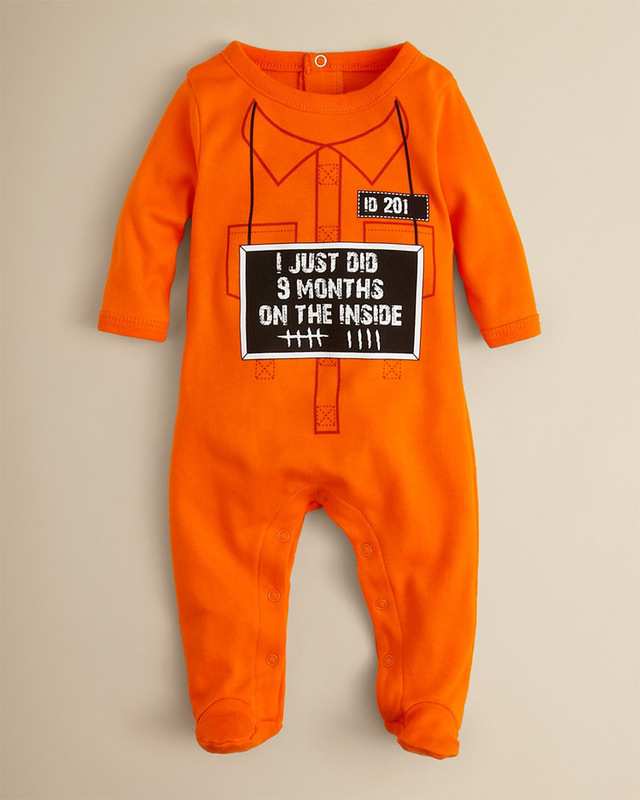 Bloomingdale's terms this baby thug suit "droll". 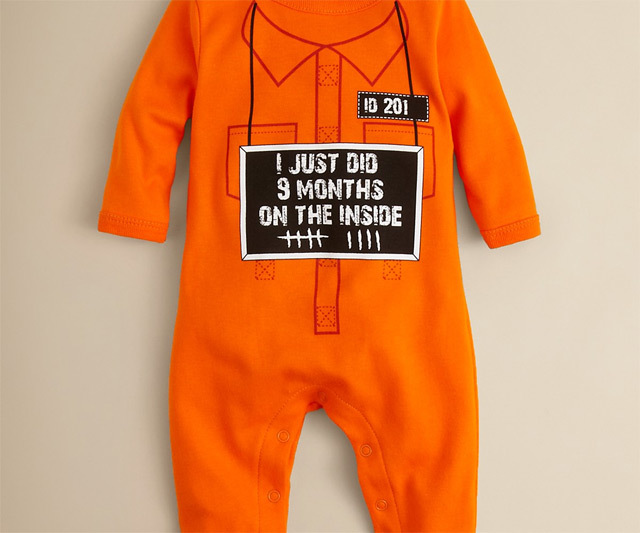 Which is so paradoxically pretentious, and maybe the worst possible word to use in describing criminal-themed kiddie clothes, but whatever uppity New York department store. Anyone who looks at the baby thug onesie and thinks more along the lines of "drool" or "roll"--as in "This is how I roll." --the cotton crewneck with footies can be yours to pimp out your 3- to 9-month-old for a few dead presidents. Snap closures run along the back and inner legs.